Directions: From Morehead at US-60W & Rt. 519, go west 7.3 miles on US-60 to Rt. 801, then left (South) 1.4 miles on Rt. 801. Quilt Square is at right beside the first pond at the Minor E. Clark Fish Hatchery. Easy access is also from the Interstate 64 Farmers-Sharkey Exit 133, then south on Rt. 801 toward Cave Run Lake. 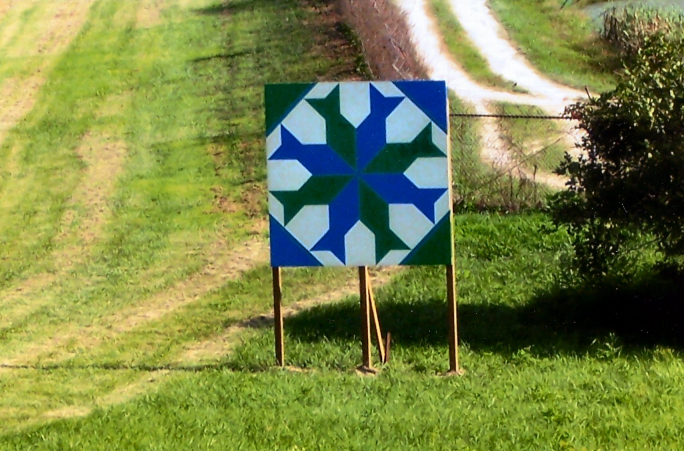 Notes: The freestanding quilt square is located across the highway fromCarey Cemetery Rd. The entrance to the Fish Hatchery is just a short distance away. 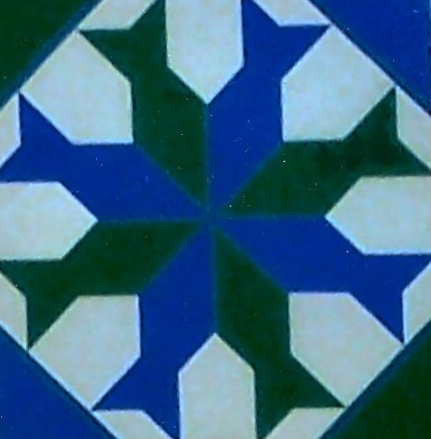 The Foothills Quilt Trail Committee selected a pattern and colors that they felt were best representative of the surrounding area.